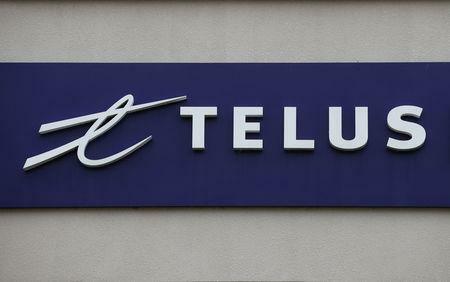 (Reuters) - Canadian telecoms company Telus Corp reported a better-than-expected quarterly profit on Thursday, as more subscribers signed up for its wireless services, including high-speed internet, and its cable TV service. Telus' peers BCE Inc and Rogers Communications also reported better-than-expected quarterly profit on higher demand for their wireless services. Largely lower subscriber penetration levels compared to the United States and other developed markets, along with a jump in population growth fueled by Canada's fairly open immigration policy, is driving demand for wireless services in the country, said Edward Jones analyst Dave Heger. Vancouver-based Telus also gained from multi-year investments in fiber-optic cables that will help provide faster internet to its customers. "By the end of next year we expect around 66 percent to 70 percent of our fiber-network to be completed," Chief Executive Officer Darren Entwistle said on a post-earnings call with analysts. Canadian telecom operators are ramping up efforts to develop the next-generation 5G network and Telus earlier this year completed 5G trials in Edmonton, Alberta in partnership with China's Huawei. "Telus is positioned to continue growing its wireless business and to take share in wireline data and cable-TV services," Heger said. Excluding one-time items, Telus earned 74 Canadian cents per share, topping analysts' average estimate of 72 Canadian cents, according to IBES data from Refinitiv. The company's shares were up 1.5 percent at C$45.18 in early trading on the Toronto Stock Exchange.